School is starting and so does the chaos. That is at least in my house. I get so tired of being the short order cook so I have taught my kids to cook a couple of things on their own. I have also made a couple of breakfast items that they can grab and enjoy on their own. These are our favorites and I hope that they make your life easier. We all need breakfast kids can make themselves. 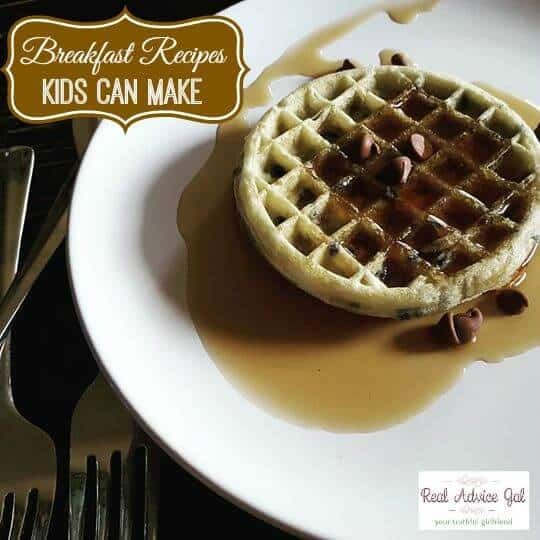 1) Waffles my kids love them they are inexpensive to buy and if you have a waffle iron make them on Sunday and then freeze some for the rest of the week. I cheat and use a mix sometime and then add things in them. These are a favorite at my house Lemon Poppy Seed Waffles. This is a simple waffle recipe for kids. 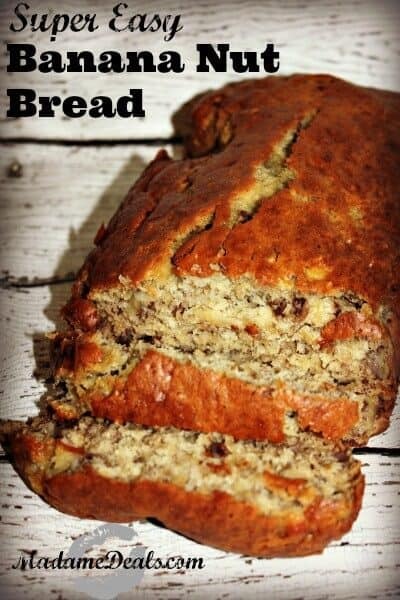 2) Bake a couple of these breakfast breads like our banana bread or our pumpkin bread both can be frozen and both are equally amazing. 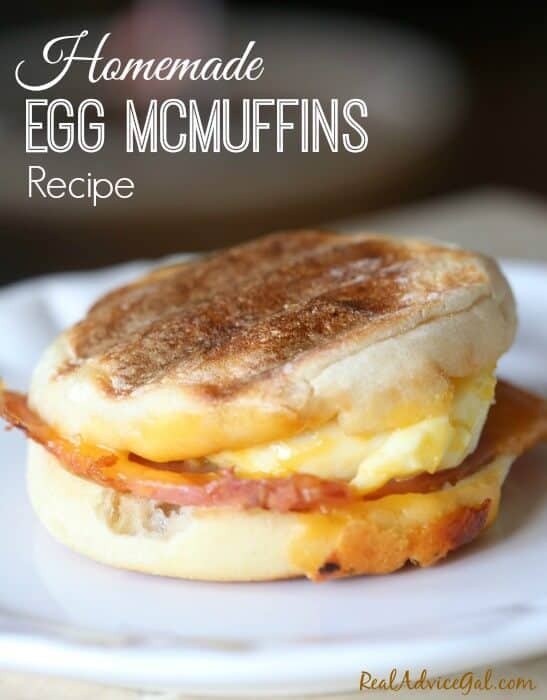 3) Egg Mc Muffins. The are easy and you can mass produce them and also freeze them. 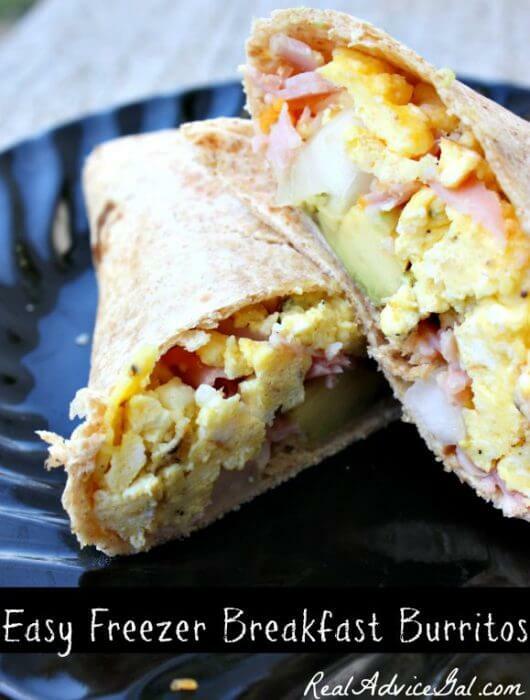 4) Egg wraps. 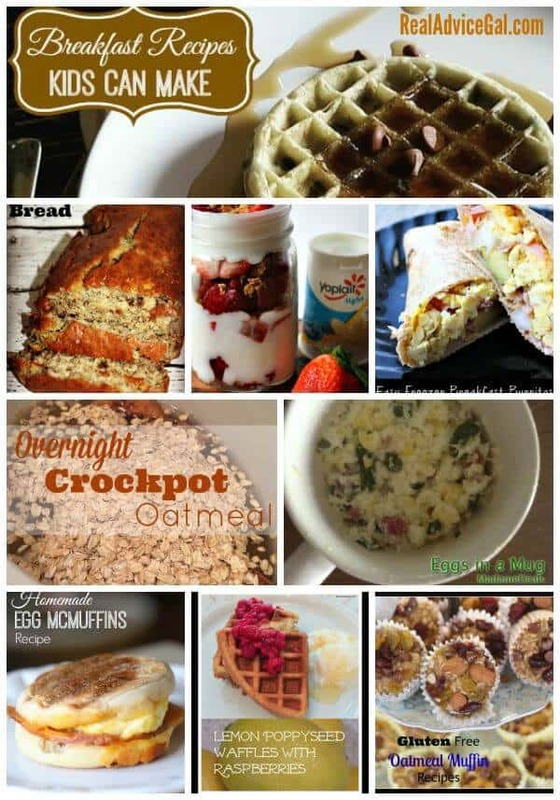 Get ready for the day with healthy breakfast that is packed with proteins and healthy fats. You can also freeze them. 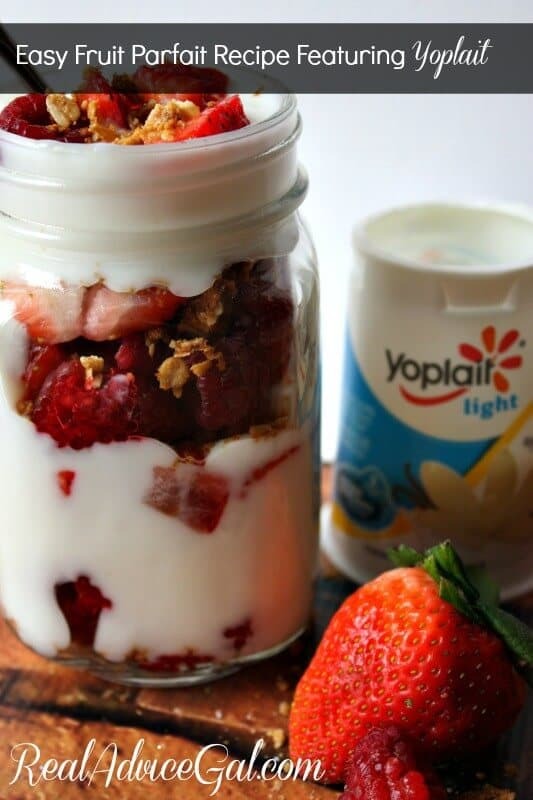 5) Yogurt parfaits. 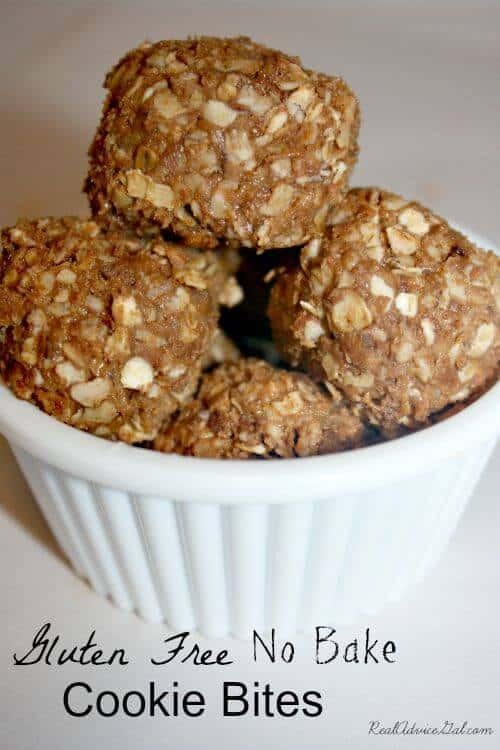 So easy to prepare and can be eaten on the go. 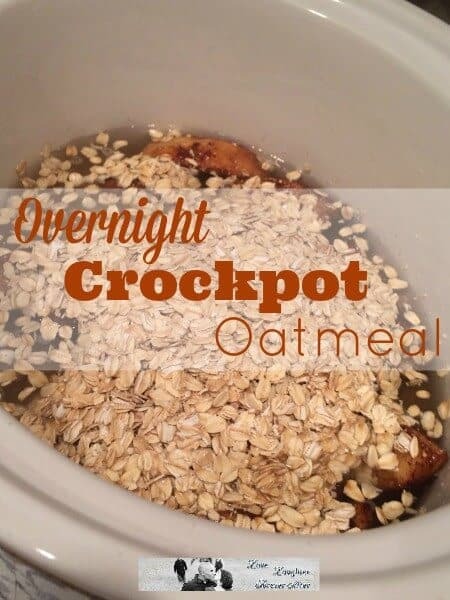 6) Make ahead oatmeal in the crockpot. They can just prepare it at night before going to bed and wake up with a delicious breakfast. 7) Gluten free bars. It’s no bake! 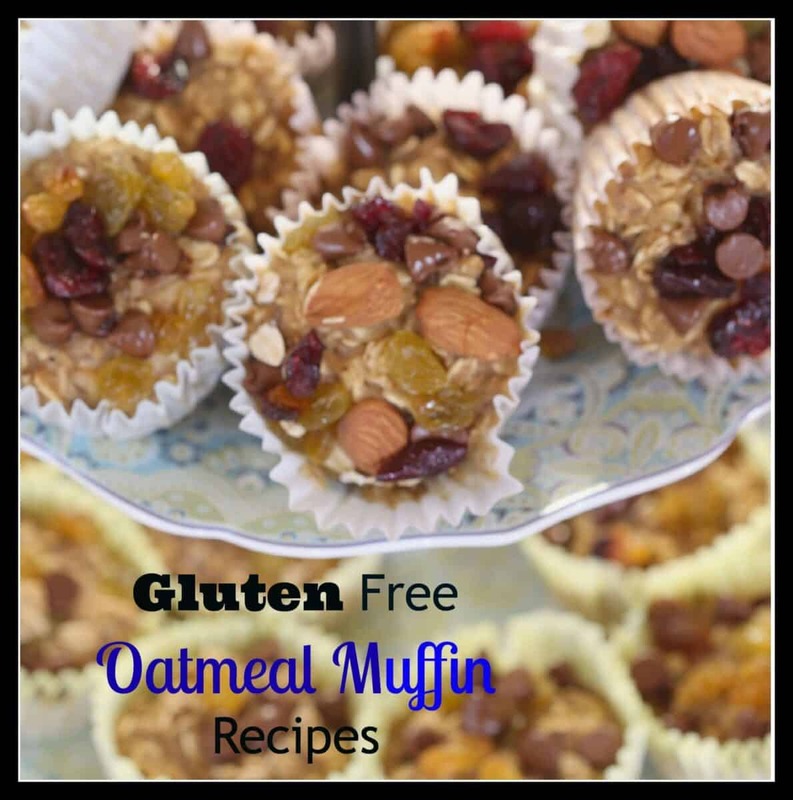 8) Gluten Free Oatmeal muffins. Sweet but healthy breakfast and also great snack. 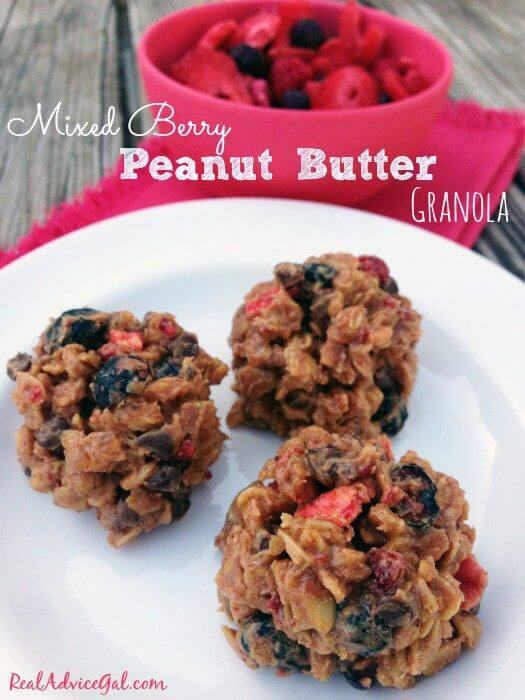 9) Mixed Berry Peanut Granola. High fiber and protein. 10) Microwave eggs in a mug. Even younger kids can do this.